Our emphasis is on crafting custom outdoor environments with creative landscape design. In addition, we offer lawn maintenance and snow removal, servicing commercial and residential customers. 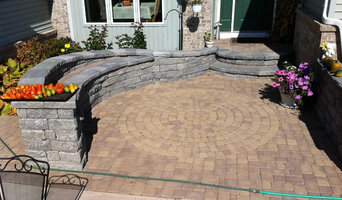 Blue Ridge Landscaping has knowledgeable, educated staff with professional skills and years of experience. When we are not working out in the field, we are honing our horticultural skills through plant seminars and workshops. Award-Winning Custom Deck and Patio Builder, Designer, and Remodeler- "creating beautiful backyards for over 30 years." Father-Daughter - Son Building Team. We offer free in-home consultations. 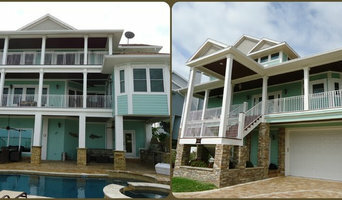 We design and build all of our projects. We are a TrexPro PLATINUM contractor. We design and build all types of outdoor living environments working with the homeowner. 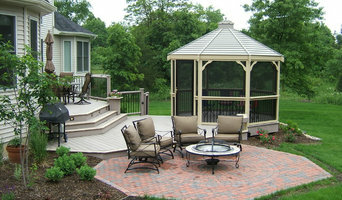 Pergolas, gazebos, custom decks and patios. We have an A+ rating with the Better Business Bureau. OUTDOOR LIVING ... IT'S WHAT WE DO!!! Award Winning Decks & Patios of SW Michigan-Best of Houzz 2016-2017-2018! At Pristine Decks & Design our goal isn’t to build “just a deck”, but rather to transform backyards and extend living space to the outside. 30 years of construction experience and nearly 10 years of researching and designing outdoor projects allows us to offer a different standard. Even though the deck and landscape can account for 15 – 20% of a home’s value, all too often outdoor design is ignored by traditional construction. Deck projects installed with design elements that integrate home and landscape greatly benefit customers long term in both investment and happiness. A deck addition, sunroom and screened porch, time after time prove to be the most enjoyable of home improvements and provide great value in both home equity and home resale. In fact, customers are often surprised to learn that deck additions installed with a little imagination frequently outperform siding, windows and kitchen and bathroom remodels in return on investment. Additionally, you could have your kitchen or bathroom modernized, or have the floor plan of your living space opened up with a more modern layout. Design concepts of today suggest a natural human desire for openness and flow and all too often homes designed during earlier years were built with limitations in these areas. Basement finishing and remodeling has become one of the more popular modern home investments due to the vastness of space and an opportunity to create multi-level living space with much desired openness and flow. Whether you want a bedroom, entertainment area, library, wine cellar, man cave, lady retreat, or any of the seemingly infinite possibilities, Pristine Decks & Design can provide you with all the benefits of our program, while reducing the risks and modernizing the limitations of adding living space in this area. Since 1976 we have created beautiful landscapes in southwest Michigan. Our goals are to provide the perfect outdoor spaces for your enjoyment, and to improve the appearance of your home. We listen, we design, we build, we maintain! Experienced, professional staff use the best of materials, the latest techniques and the style that is 'you!' We are passionate about creating natural spaces that help you enjoy the company of friends and family, connect with nature, and feel great about the place you call home. Our experts stay current with the ever-evolving best practices in design, material selection, installation, and plant care and maintenance so you can get knowledgeable advice throughout the decision-making process. From creating a landscape plan based on your vision to installation and maintenance, we are there with you for every step in your journey to making your backyard your favorite place to get away without going away. Are you ready to turn your ideas for your outdoor escape into reality? Contact us so we can get started. With over 72 years of experience in our community, we have had the privileged of design, install, and expert advice for our thousands of clients. We pride ourselves in knowledge of design, plants, construction, drainage, and aesthetics. With outdoor living a prime reason most of us choose Michigan, we look forward to continuing to provide outstanding service the same way we always have: with a smile and a handshake.